As development of drugs to treat psychiatric disorders lags behind that of drugs for other illnesses, a recent study published in Psychiatric Services in Advance sheds light on why the pipeline for psychotropic medicines is nearly empty. Researchers from Brandeis University and Truven Health Analytics led an investigation of the current state of psychotropic drugs in the pipeline and potential barriers that may keep these drugs from reaching distribution in the United States. Sifting through industry reports, company press releases, and the National Institutes of Health clinical trials website, the researchers gathered information on phase 3 trials for drugs being developed to treat major psychiatric disorders, including alcohol use disorder, schizophrenia, and depression. All studies involved adults aged 18 or older. The analysis showed that the pipeline for psychotropic drug development—99 clinical trials were included—is limited, with little product innovation evident. Most of the examined drugs were a combination of existing of U.S. Food and Drug Administration-approved medicines or individually approved medicines that were being tested for new indications or delivery-system approaches (such as an injectable version that is similar to an approved oral form). Only three drugs differed substantially from existing drugs. 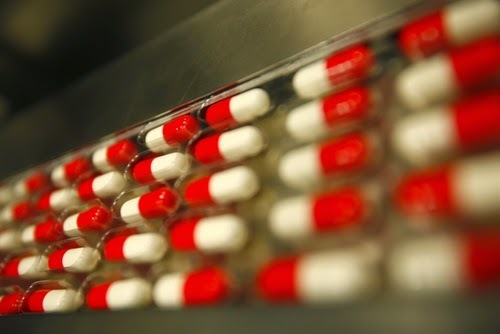 Among the barriers that hindered development of psychotropic drugs were incentives that encourage firms to focus on incremental innovation—such as a new version with fewer associated side effects—rather than taking risk on radically new molecular approaches, the failure of animal studies to translate well to human trials, and drug-approval thresholds set by the FDA that developers and manufacturers may perceive as too high to attain. In an interview with Psychiatric News, Alan Schatzberg, M.D., a professor of psychiatry at Stanford University and former APA president, said that the departure by pharmaceutical companies to develop innovative psychotropic medicines could result in serious problems for the field of psychiatry, especially for patients. “There is a number of initiatives by various organizations to help with this problem, including the European College of Neuropsychopharmacology, which is working with companies to provide investigators with compounds that have been shelved, and NIMH's Research Domain Criteria [RDoC], which promotes research on specific [and new] biological targets," he said. Schatzberg emphasized that it will take a concerted effort on the parts of governmental agencies, industry, as well as APA to advocate for investment and innovative psychiatric drug development. “Silence will not be helpful to our patients,” he concluded. To read more about psychotropic drugs in the pipeline and initiatives to steer drug development and innovation, read this month's "Med Check" in Psychiatric News.